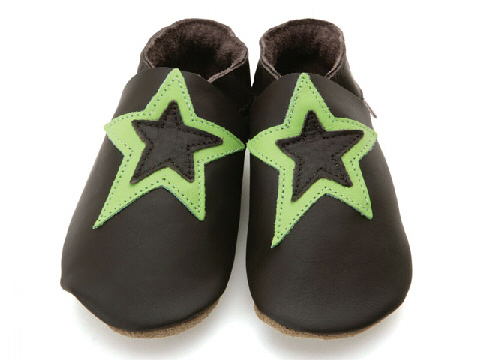 StarChild shoes are ideal for babies up to about 18 months. 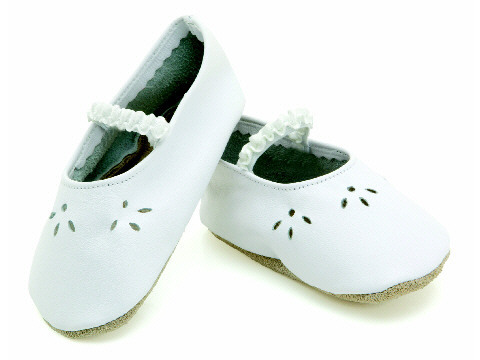 The soft leather soles cushion and protect tiny toes and minimize slipping, the leather-lined uppers breathe to keep little feet cool, and the elasticised ankle bands let the shoes fit on easily and stay on. Although they're pretty and comfy, they'll survive the busiest of toddlers. And they're hand made in the UK from fine Italian leather. Whilst walking barefoot helps new toes get a better grip, makes feet stronger, and improves balance, often it just isn't practical: baby feet need protection from rough or sharp surfaces, scattered toys, furniture legs, and cold floors. 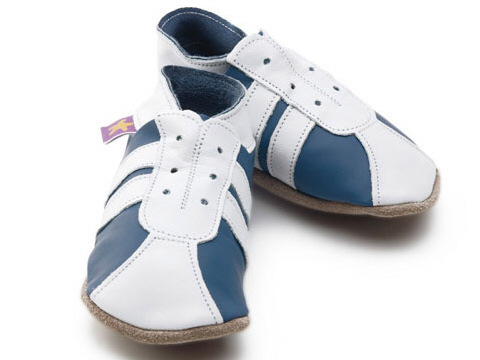 Cherry Heaven TV has made a short on-line photo book featuring these popular shoes: click the Cherry Heaven TV player. 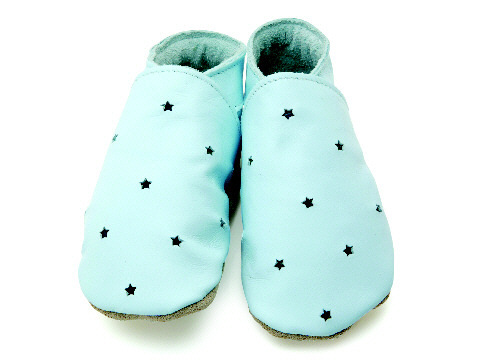 StarChild Baby Shoes: International Sizes. 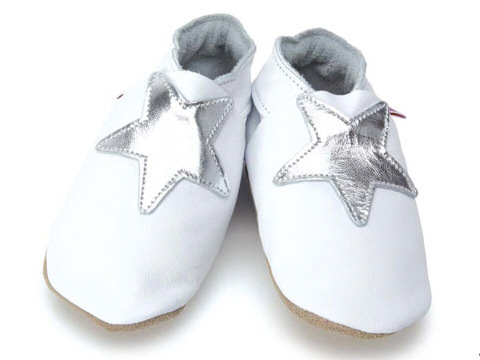 Cherry Heaven has chosen these StarChild shoes for baby girls and boys up to about 18 months. 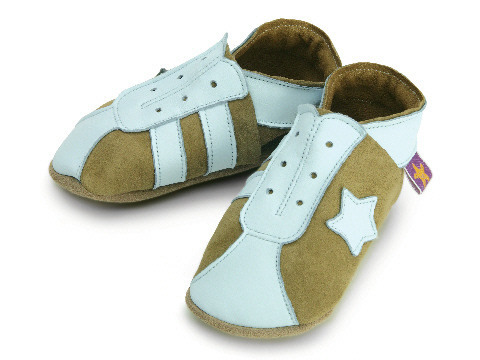 Generally, above 18 months, children wear fewer soft shoes and start wearing firmer shoes and boots made for walkers, runners, skippers, hoppers, and jumpers: such as Kavat kids' shoes and boots and Robeez shoes and bootees. 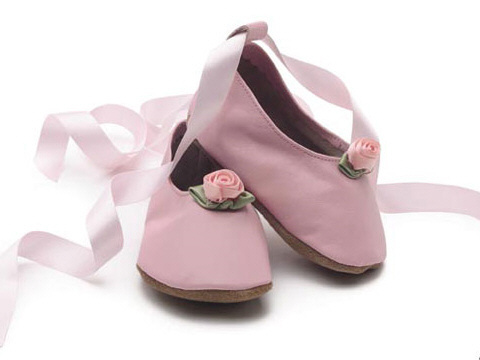 Equivalent shoe sizes are approximate, so it's better to buy shoes to grow into rather than shoes exactly the right size, especially as, between the ages of one and three, children's feet can grown up to 1.5mm a month. It's important to choose the right size: put on the shoe, stand the child up, make sure the foot is flat, and check that the toes aren't curled. And don't put you finger in the back of the shoe. 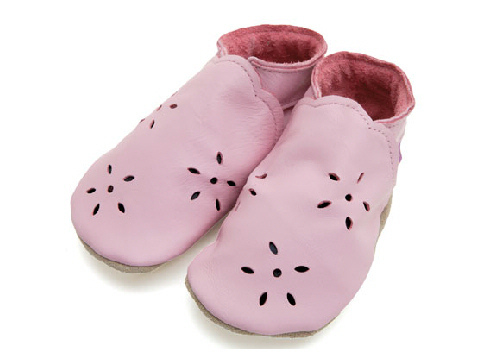 Remember that your child's feet can grow quickly and erratically so check often that the shoes are still comfortable: on both feet. Contrary to popular belief, baby shoes and boots don't have to provide ankle support: the foot's nerves and muscles will soon learn to sense pressure and movement and maintain balance. If the soles start to wear smooth in places, rough them up carefully with coarse sandpaper or a suede brush to regain some surface texture. Although many modern shoes and booties are machine washable at a low temperature, I suggest that you hand wash them using mild detergent and cold water. Dry them naturally, not in a tumble drier or on a hot radiator. 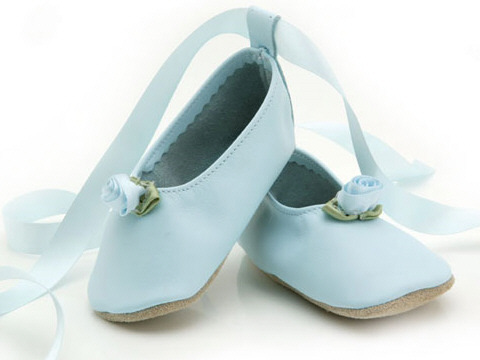 The shoes use non-toxic dyes and are fully tested to meet EU safety standards.